It may come as a surprise to learn that burritos have been around since about 10,000 B.C. That just proves they have always had a following, and we hope our Infinity residents in Edgewater, New Jersey, enjoy these burrito-lover recipes. With Cinco de Mayo around the corner, this spin on the traditional burrito would be a great addition to a Mexican fiesta. 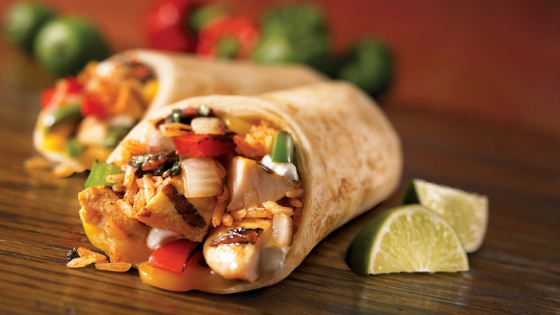 Of course, who really needs an excuse to indulge in burritos! Preheat your oven to 375 degrees. In a mixing bowl, blend the salsa and enchilada sauce thoroughly. Cook the ground beef in a skillet over medium heat, reducing any chunks. Drain and add a ½ cup of the mix from the bowl and stir over heat. Scoop a ½ cup of beef onto each tortilla, sprinkle with black beans, cheese and finish off with a healthy dose of rice. Grease a baking dish and place burritos tightly together. Pour modest helping of sauce over them and cover with remaining cheese. Bake 10 minutes and serve warm. Although many American burrito eateries favor the soft tortilla and juicy presentation, there are traditional Mexican chefs who make them crunchy. If you want to get a tad outside your burrito-loving comfort zone, here’s how! Cook beef in a skillet over medium heat. Drain and then stir in seasoning and mix. Now, fold in refried beans and mix thoroughly for 3 minutes or until fully blended and warmed. Spoon a half-cup of the mixture directly on each tortilla. Wrap burritos tightly and heat a skillet with olive oil and toast to a crisp. Serve with salsa and sour cream. We hope our Infinity community members enjoy these burrito options. If you or a friend would like more information about our Edgewater apartments, call us today.